YouTube goes all in on VR. It’s time to dust off that virtual reality headset you bought for your iPhone. Thanks to a new YouTube update that’s rolling out now, it’s finally possible to watch any video in glorious VR. The virtual reality experience on iPhone has been disappointing. There are plenty of iPhone-compatible headsets, like the super affordable Google Cardboard, but there’s not a lot of really good content. We’re certainly not seeing Galaxy Gear levels of greatness on any Apple device. But Google is trying its best (unlike Apple) to make VR on iOS as best as it can be. With a new YouTube update that’s rolling out today, you can watch any video — not just those filmed with special 360-degree cameras — in VR. 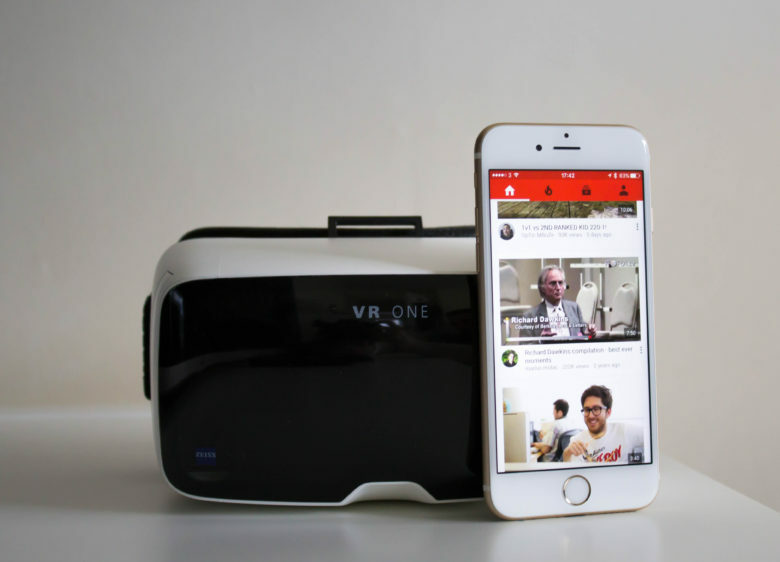 To get started, just install the latest version of the YouTube app, then find a video you want to watch in VR. Now tap the options button in the top right corner, then select Cardboard. Slip your iPhone into your headset, sit back, and enjoy. If you’re not watching 360-degree videos, you obviously won’t be able to look around or see different things by turning your head. But you will be able to watch the latest videos from your favorite channels at supersize — as if you were sat in a cinema. It’s pretty awesome.